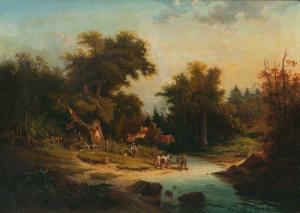 Find artworks, auction results, sale prices and pictures of Colestin Brugner at auctions worldwide. Oil/canvas, 94 x 125 cm, lo. ri. sign. a. dat. C. Brügner 53, min. rest. 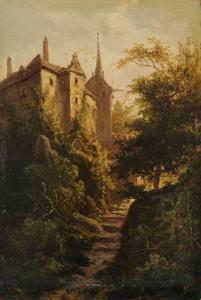 - Berlin landscape painter, 1854-66 he exhibited at the local academy. - Lit. : Saur, Thieme-Becker, Bénézit. Öl/Lw., 94 x 125 cm, r. u. sign. u. dat. C. Brügner 53, min. rest. - Berliner Landschaftsmaler, stellte 1854-66 an der dortigen Akademie aus. - Lit. 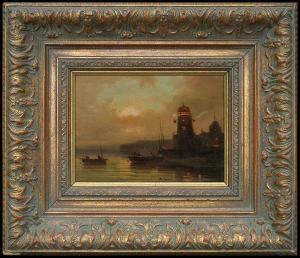 : Saur, Thieme-Becker, Bénézit. 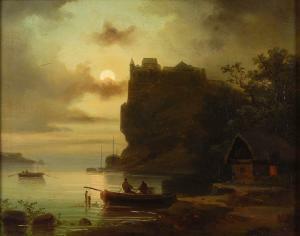 Colestin Brügner was a German land and seascapes painter. His paintings are of small format visibly inspired by seventeenth century Dutch art. 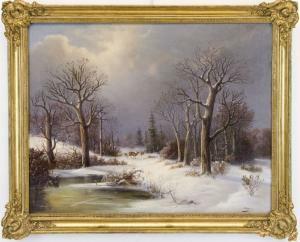 In the years 1854-1866 he participated in the Berlin Academy of Fine Arts exhibitions, presenting, among others, the winter landscapes.